Clean room with beautiful decoration. ที่ตั้ง ถนนสุขุมวิท ซอยสุขุมวิท42 แขวงพระโขนง เขตคลองเตย กทม. Address Sukhumvit Road Soi 42, Phrakanong, Klongtoey, Bangkok. – BTS Ekamai 50 m.
Developer DEVEL Development Co Ltd. Address Sukhumvit 65, Sukhumvit Rd., Prakanong, Wattana, Bangkok. – BTS Phra Khanong 960 m. and BTS Ekamai 1 km. 1. ฺBig C บางพลี – 3.0 กม. 2. Tesco Lotus บางพลี – 7.0 กม. 3. Homepro บางนา – 7.0 กม. 4. Tops Supermarket – 6.7 กม. 5. Mega Bangna – 10.0 กม. 6. Big C ศรีนครินทร์ – 11.2 กม. 7. Makro ศรีนครินทร์ – 11.2 กม. 8. Big C บางนา – 15.0 กม. 9. Central บางนา – 15.0 กม. 10 Tesco Lotus บางนา – 10.0 กม. 11. โรงพยาบาลบางนา 5 – 1.0 กม. 12. โรงพยาบาลบางพลี – 2.9 กม. 13. โรงพยาบาลปิยมินทร์ – 11.0 กม. 14. 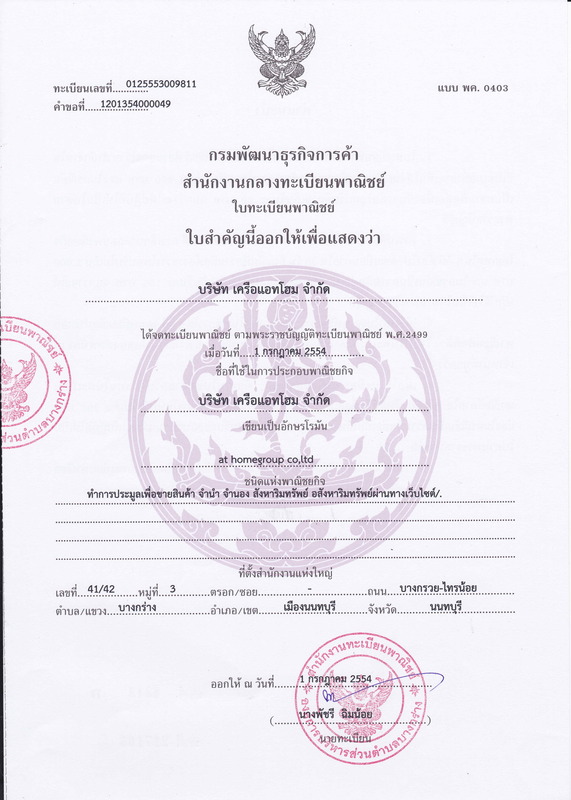 โรงพยาบาลไทยนครินทร์ – 15.0 กม. 15. ไบเทค บางนา – 17.0 กม. 16. สนามบินสุวรรณภูมิ – 22.0 กม. 17. BTS แบริ่ง – 14 กม. ที่ตั้ง ถนน อโศก-ดินแดง แขวงบางกะปิ เขตห้วยขวาง กทม. 17.10 ตรว. พื้นที่ใช้สอย 153.45 ตร.ม. For Sales Townhome - Signature Kanlapapruk on Kanchanapisek Road. This house is located in good condition, beautifully decorated on Karnchanapisek Road and Rajapruek. There are 3 floors, 3 bedrooms, 3 bathrooms, 4.5 meters wide. 17.10 sqw. Living area 153.45 sq.m. For Sales : Six nature Petchkasem 69 is a new 3-storey townhome project of Prinsiri. Experience the difference with the townhome above. The design touches nature with three touches of the six. The project is located on Petchkasem 69 Road, Nongkwang Plu, Nongkhae, Bangkok. Matico in Natural Chic concept reflects the chic and trendy lifestyle of a new generation who are still pursuing nature to enrich life. High ceilings give a feeling of airiness. For better air circulation and ventilation, there is a terrace where you can experience the fresh air in the morning. The lower floor has a ventilated fan. Good ventilation of the insulation. To prevent heat from the roof. Make a home away from home, separate kitchen and dining room with a drawer on the stairs. 17.1 sq.w. 153.45 sqm. 3 bed 3 bath 2 car 2 kitchen 4 air 1 work place. New window wrought iron, New wallpaper, The master bed on 3rd Floor , The balcony on every floor. - Surrounded by lush greenery in a pleasant society. Feel warm and safe. - Convenient location traveling far is comfortable. - Relax and comfortable with single function house. All living space. - Only 500 meters from Petchkasem Road. - Getting to and from many convenient routes - Petchkasem Road, Rim Sai Road, Bangbon Road, connecting Kulapapruek - Sathorn Road. - Easy access to the Blue Line. Future transportation links to the main route near the project. - Housing projects among quality society. - Modern houses the new generation lifestyle. - 3-storey townhome design emphasizes airy design. Add light to your home with large doors and windows. - Spacious living space equivalent to single house. - All functions of the house meet the requirements. For the most benefit. - Ceiling Height: 2.7 M.
- Located in the Whizdom 101 project on Sukhumvit Rd. ให้เช่า BANGKOK HORIZON เพชรเกษม ชั้น 13 ขนาด 30 ตร.ม. ชั้น 13 วิวซีคอนบางแค ขนาด : 1 ห้องนอน 1 ห้องน้ำ ระเบียง 30 ตร.ม. For Rent - BANGKOK HORIZON Petchkasem 13th floor size 30 sq.m. Rental Condo Bangkok Horizon Petchkasem Road, Located between Soi Petchkasem 33/3 and 33/4. Size: 1 bedroom, 1 bathroom with balcony 30 sq.m. Air-conditioner, TV, refrigerator, water heater, electric stove, bed, dining table, etc. Near the community and Siam University. Connected to both Ratchaphruek Road, Kanapapruek Road, Kanchanapisek Road, Charansanitwong Road and Sathorn Road. ที่ตั้ง ถนนกัลปพฤกษ์ แขวงบางหว้า เขตภาษีเจริญ กทม. ที่ดิน 18.7 ตร.วา ใช้สอยประมาณ 180 ตรม.